A leading provider of talent based employment solutions and one of the largest staffing firms in the U.S., Elwood's resources and expertise connect people with jobs. The Computer Classroom offers a variety of software and computer training for the beginner to advanced user. Perfect training opportunity for businesses. 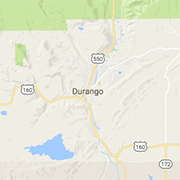 The Telegraph is Durango's local, free source of news, events, the local scene, and more!